Les lits confortables, l'appartement, la grande terrasse et la situation géographique. La piscine la place pour 7 personnes Son emplacement idéal pas besoin de prendre la voiture . Appartement bien situé et idéal pour un voyage entre amis ! Les lits sont confortables, on trouve tous les équipements nécessaires au séjour sur place et la climatisation parfaite pour l’été. Terraza amplia, piscina, ropa de cama y toallas limpias. One of our best sellers in Salou! Just an 18-minute walk from PortAventura and one mile from Ferrari Land, Book Mercurio Salou features accommodations in Salou, with a seasonal outdoor swimming pool and a garden. Guests staying at this apartment can use the terrace. 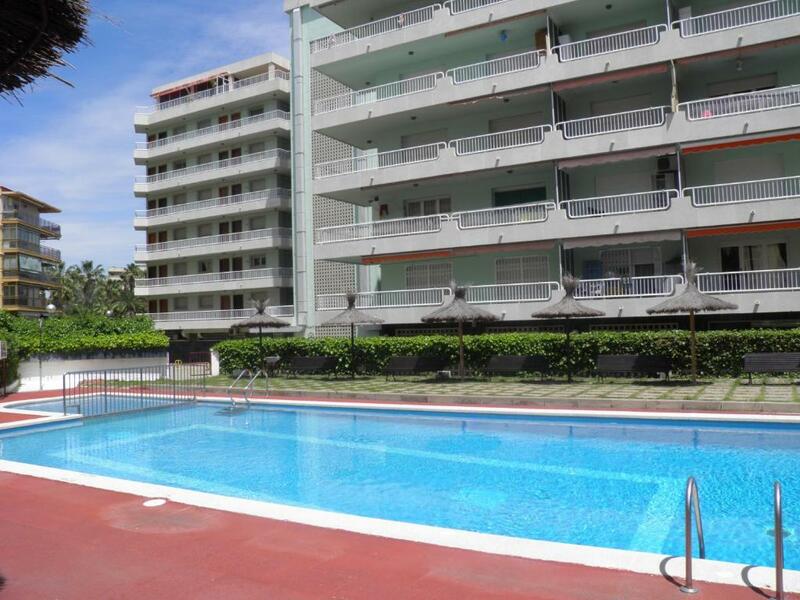 This apartment comes with 2 bedrooms, a living room and a fully equipped kitchen with an oven. There's a bathroom with a bath. A water park is also available for guests at the apartment. House Of Illusion is a 16-minute walk from Book Mercurio Salou. Reus Airport is 7 miles from the property. When would you like to stay at Book Mercurio Salou? House Rules Book Mercurio Salou takes special requests – add in the next step! Book Mercurio Salou accepts these cards and reserves the right to temporarily hold an amount prior to arrival. I think I have been conned. They owner took Euro150 in deposit via my Credit Card and is not responding to my messages for the refund. So far I have not received the refund.